Bear is now in his new home in the Lone Star state! Little River has a home now. He will be going to live with his 1/2 sister Gemma in BC Canada! An adoption is pending on Judge. I have 3 available males, available to approved homes. These puppies are naturally reared, meaning they were weaned to a raw diet, have not be poisoned with vaccines, wormers or "preventatives" not exposed to toxic chemicals in my home or property and they have been raised using Naturopathic protocols, and will be checked out by my Holistic DVM before going to their new homes. The dam, Daisy, is NR as well. The sire, Eli, belongs to someone else & is not fully NR, but as I am the only NR breeder of Carolina Dogs I was happy to find him to bring in new bloodline to my NR line. I do prefer homes that will continue with the Natural Rearing for the pup's lifetime, Experience is not necessary, but willingness & open-mindedness is. I mentor all my puppy families for the life of the puppy, so I will teach you all you need to know. They are all sweet & friendly, with typical Carolina Dog behaviors: loving to their pack, wary of everyone else, want to be near their people/pack, wicked smart, prey drive, versatile. *Kissy-Bear - Black/Tan w/ white (I call him Kissy-face because he is always wanting kisses. My son calls him Bear. He is medium energy, beta personality. He is always up for an adventure. *Little River- light red/buff He is the smallest puppy in the litter. He is also the most submissive & is very calm & quiet so far, he likes to sit back & check things out before jumping into whatever situation. 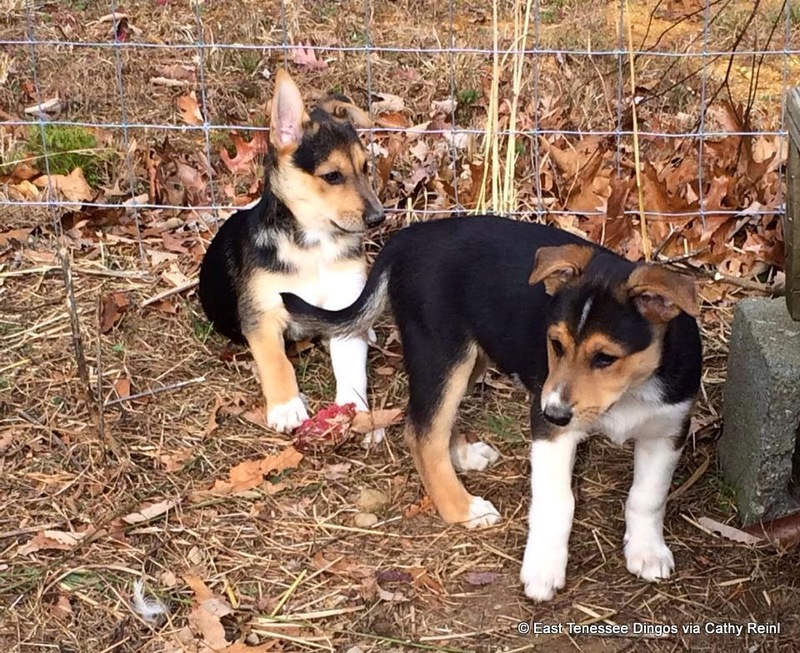 For more information on these boys, email me @susanlewelling@yahoo.com or see http://www.mycarolinadog.com/p/interested-in-puppy-or-dog.html to apply for one of these puppies.